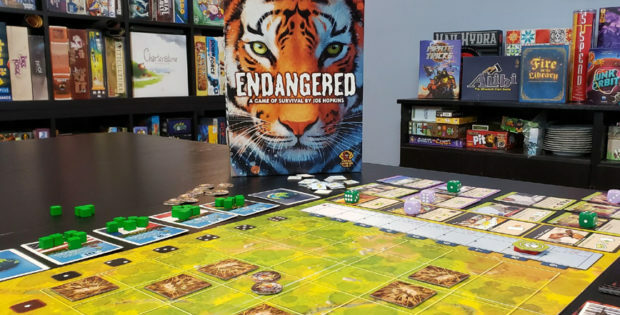 Endangered Preview Endangered is a cooperative game from Grand Gamers Guild, bringing players together in order to influence world leaders and save a species from extinction. 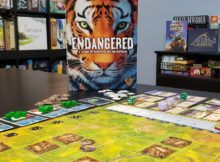 Endangered is a cooperative game from Grand Gamers Guild, bringing players together in order to influence world leaders and save a species from extinction. 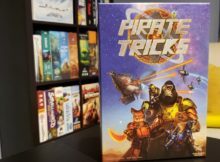 Recruit a team of space gorillas, foxes and ferrets to outplay your opponents in a new trick-taking game from Soaring Rhino Games. 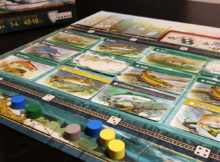 This week we're pitching dexterity games to Eric Yurko of What's Eric Playing?. 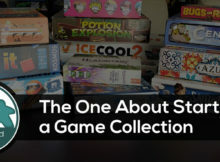 With two incredibly poor games to choose from, how will Eric ever pick? 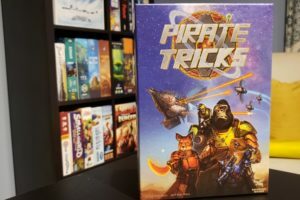 This week Ric and Ryan talk about games that would be great options for starting a board game collection. 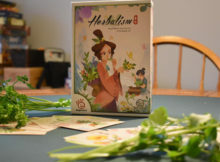 If you like the deduction of Clue, you're really going to enjoy this game of ancient medicine. 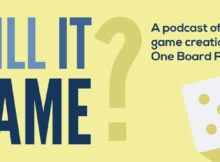 Dennis Hoyle of Bellwether Games is our guest judge, and supervisor, as Ric and Ryan pitch board games ideas based on home repair. 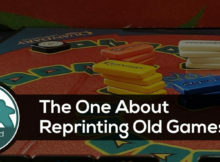 This should be interesting! 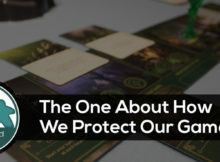 Ric and Ryan chat about the games they've been playing plus our topic of the show is a discussion on what we do to protect our games. 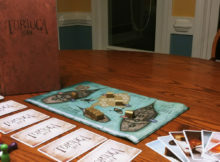 Tortuga 1667 from Facade Games, pits two to nine players against each other in a fight for dominance of the high seas.